Have you had enough? Are you ready for real change? Then welcome to the final chapter in the continuing saga of Uranus square Pluto. These two powerhouses have dominated astrology—and everyone’s lives—since June 2012, when they made their first of seven difficult alignments. This month, Uranus and Pluto finish the story they started then, as they line up for the final time in this cycle to sit exactly 90 degrees away from each other. This challenging, even provoking alignment is called a square, and it occurs this Monday, March 16, at 9:53 p.m. U.S. central time (2:53 a.m. Greenwich time on March 17). Note: this article is the last in an ongoing Uranus square Pluto article series. See the end of this article for links to the six earlier articles. Uranus has occupied Aries since March 2011. During this time, we’ve been pushed to look at Aries themes such as our identity, our passion, and our potential for both negative and constructive action. Ultimately, we’ve had to undergo change to awaken to who we really are and to have courage to begin being that true self openly. If you’ve handled this energy appropriately, then you may well have experienced losses, having to let go of outdated ways of being, old ideas of who you are, and outworn roles you no longer want to play. Like old shoes that no longer fit our feet comfortably, our former selves simply don’t fit anymore and must be left behind. Yet every loss, however painful, has brought liberation. Freed from constricting patterns and personas, we’re ready to expand into better feeling ways and better times…and to step into new and wonderful shoes. Pluto has occupied Capricorn since November 2008. Since then, we’ve had to look at Capricorn themes such as ambition, career, and hierarchies of all kinds. While Uranus awakens with electric jolts of inspiration or sudden changes, Pluto plows down anything in its way to force necessary change. Often, we experience this as an emotional storm or even some kind of physical destruction, followed by an opportunity to create something more soul-supporting from the rubble. If you’ve handled this energy well, you’ve had to cope with relentless pressure to change and to transform your life to be more in line with your soul’s desires. During times of crisis, perhaps feeling powerless, you’ve had to rise to the occasion and thereby become empowered. 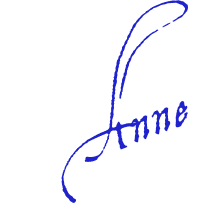 If you stayed the course and tuned in to your soul, you have been enriched in some deep and lasting way. Your life will never be the same. Take A Look Back: How Have You Done? If you’re reading this, then you’ve made it this far through the Uranus square Pluto saga. Pat yourself on the back for enduring and coming out the other side. The Final Chapter: What’s Left For You To Do? Given Uranus square Pluto’s intensities, you likely already are feeling the square’s energies as it gets ever closer to being exact on March 16. It may feel like an urgency to finish up, close out projects or goals or relationship, and prepare for something new to arrive. Take a moment now to think about the final changes you want to make before we enter a quite different era. Consider what you’ve done so far and how you can put on the finishing touches. What bits can you release, what parts of life can you make more soulful, how can you reclaim power for yourself? The final Uranus square Pluto kicks off a nearly three week period of big energies. If you’re feeling edgy, jittery, or impatient, you likely are picking up on these looming shifts. Free up your schedule as much as possible now so you have extra time for rest and reflection as this cosmic storm front moves in. The square will bring us a final inner battle: this may feel like a last struggle to decide which way to go on something major in your life. It also could feel like being between a rock and a hard place and being forced to simply make a decision once and for all. Let yourself turn a corner, overcome the obstacle, and move on with a better life. Once we pass the 16th, Uranus and Pluto will remain close enough that the square will still be in play for a while—but the energies will be lessening and likely will never feel as intense as they have felt in the past three years. Use this climax of the Uranus-Pluto saga to make the final shifts you must make but may have put off. Use your intuition to guide you to what is right for you. Just days after the final square, we’ll experience March 20, which brings a total solar eclipse, the Sun’s shift to a new sign (Aries), the equinox, a new season—and a new spiritual and astrological year. Mark this date on your calendar and do what you can to free up your schedule so you can have extra time for unexpected developments. Take time for meditation and enjoyment in nature so you can tune in to any revelations you may receive, thanks to the eclipse. The final burst of major energy will arrive April 4, when we experience a full Moon in Libra. This day also brings a total lunar eclipse and probably a return of the Uranus-Pluto energies as a sort of closing shot on what has been a seemingly never ending period of struggle, loss, and change. Full Moons can bring high energies as well as remarkable insights: be aware of the potential and give yourself time for meditation to make the most of it. When Uranus square Pluto arrives, five planets will occupy fire signs: Uranus, Mars, Venus, Jupiter, and Saturn. The first three will be in pioneering Aries, with the Sun set to join them on March 20. Fire signs fill us with passion and excitement and inspire us to take action based on our ideals. Three planets will occupy watery Pisces: Mercury, Neptune, and the Sun. They can help us cool fiery urges and direct them to constructive ends. Also, Pisces energy reminds us of the collective and humanity’s oneness so that we use our passions to fuel change that supports and empowers everyone. Finally, for the only time in the Uranus-Pluto story, both planets will be moving forward in the sky. Up to now, every square has had one of these two planets in retrograde motion, giving the past three years a strongly push-pull feeling that compounded feelings of being stuck or constantly challenged. Now, however, with both planets in direct motion and so much Aries energy, we have a cosmic signal to open the gates and GO. You’re Free And Powerful: What Would You Like To Do Now? Uranus has freed us from old baggage and the dead husks of what we no longer wanted. Pluto has empowered us to make our own choices and live by our souls. So what would you like to do, now that you’re so free and powerful? What dreams have you cherished and hoped could come true? With planets in Pisces, dreams have a beautiful power to inspire, and with planets in Aries, we’re ready to take action to make them come true. With Mercury and Neptune right next to each other in Pisces, it’s possible we all may feel a bit fuzzy in our everyday, logical thinking right now. Yet if we use this energy to let our minds be filled with high ideals, compassion, and new dreams of wonders and miracles, we’ll have the emotional fuel to help create a new era, a gentler humanity. We have deep support for making our ideals real right now. Opposite all the planets in Aries sits the North Node in Libra. This point signifies our collective destiny, and in Libra it asks us to be faithful to partnership, peace, high ideals, and kindness. Along with all the Pisces energies, the North Node is balancing the Aries planets to remind us that we need both Aries individualism and originality as well as Libra togetherness and cooperation. The full Moon on April 4 will come quite close to the location of the North Node, triggering this impulse toward peace and harmony. At this time, rejoice in all your relationships and the fact that, together, we are so much more than we ever could be alone. May these coming weeks bring you new revelations, exciting breakthroughs, and dreamy insights. And may they be the start of a beautiful and uplifting new era for us all. Part Four: Uranus Square Pluto Part Four: How Are You Feeling? Part Five: Astrology April 2014: Ready for Your Breakthrough? 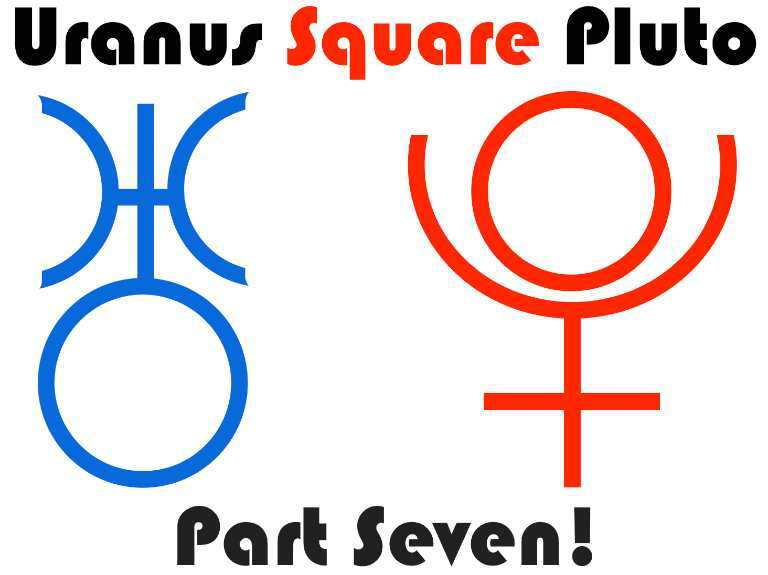 Part Six: Uranus Square Pluto Part Six: Almost There!